The non-profit organisation National Fire Dog Monument has been successful in its fundraising to build a monument to Certified Accelerant Detection Dogs. The bronze statue is entitled “From Ashes to Answers” and will be permanently displayed in front of a fire station in Washington, DC. 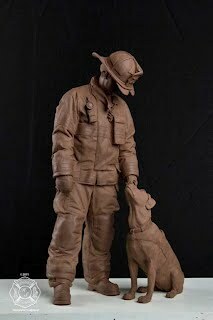 The inspiration for the dog in the sculpture is Erin, Colorado’s first arson dog who died from cancer. As the statue is transported to its final home, there will be a roadshow from June 21 to 28, 2012 stopping in 12 cities starting in Denver, Colorado and ending in Washington, with other stops in Kansas, Illinois, Missouri, Indiana, Pennsylvania, New Jersey and New York. The full schedule of stops can be found here. Arson dogs are trained to detect hydrocarbons and other accelerants that are used to deliberately light fires. The use of dogs in this service is yet another way that working dogs are used to benefit communities and the new monument is a fitting tribute to their contribution. 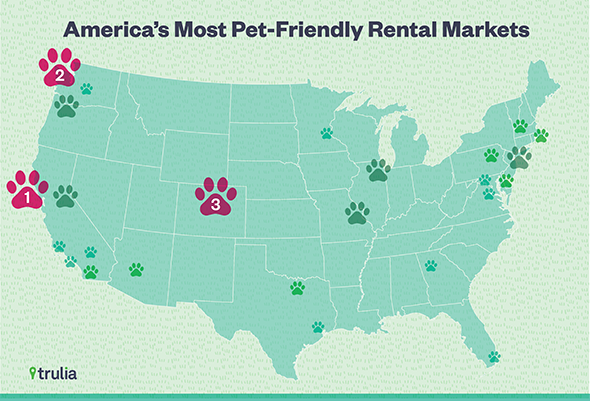 I thought I’d share my experience of dog-friendly shopping in the state of Colorado, where I recently traveled for my business. I wished my Daisy could have traveled with me to enjoy the sites (but she wouldn’t have appreciated the long flight or the required three-month quarantine on our return to New Zealand). I noticed that many communities welcomed dogs in their shopping areas by providing bowls of water for passing dogs to drink from. I quickly became accustomed to seeing these ‘dog rest stops’ in virtually every town that we visited. Rest stops varied in style and offerings. Some were simply a single water bowl or raised water bowls. Pet shops would often include extras, such as a bench for owners to sit in. In Manitou Springs, a popular tourist destination at the foot of Pike’s Peak (elevation 4,800 m), a sweet shop provided vending machines with dog treats. For 25 cents, a passing dog owner could purchase a handful of treats. In all of the communities I visited, dogs and owners acted responsibly. There was never a pile of poo left on the footpath and dogs didn’t jump on passers-by. Responsible dog ownership is clearly essential for communities to embrace dog-friendly shopping. 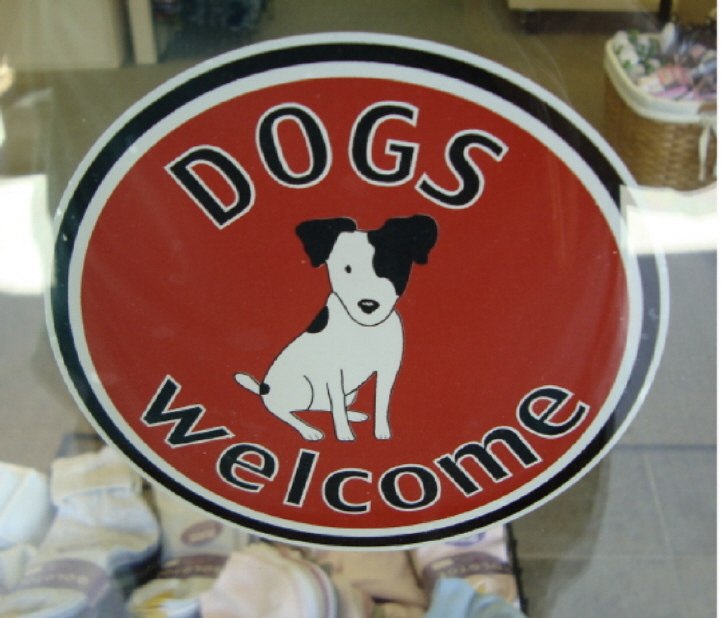 And so, I leave you with good wishes for the summer holiday season and encourage you to think: Is dog-friendly shopping appropriate for New Zealand and, if so, what will it take to get dog-friendly shopping established here? The dog carrier is considered the single piece of carry-on luggage for the owner; the dog must have current vaccinations and is not allowed out of the carrier during the flight. Additional photos of my trip can be found in this blog post.